"Five Stars ... an emotional maelstrom ... a whole kaleidoscope of feelings that the Doric brings to bear in a vivid, trenchant and intuitively heartfelt performance ... a disc of outstanding musical insight and dynamic presence." 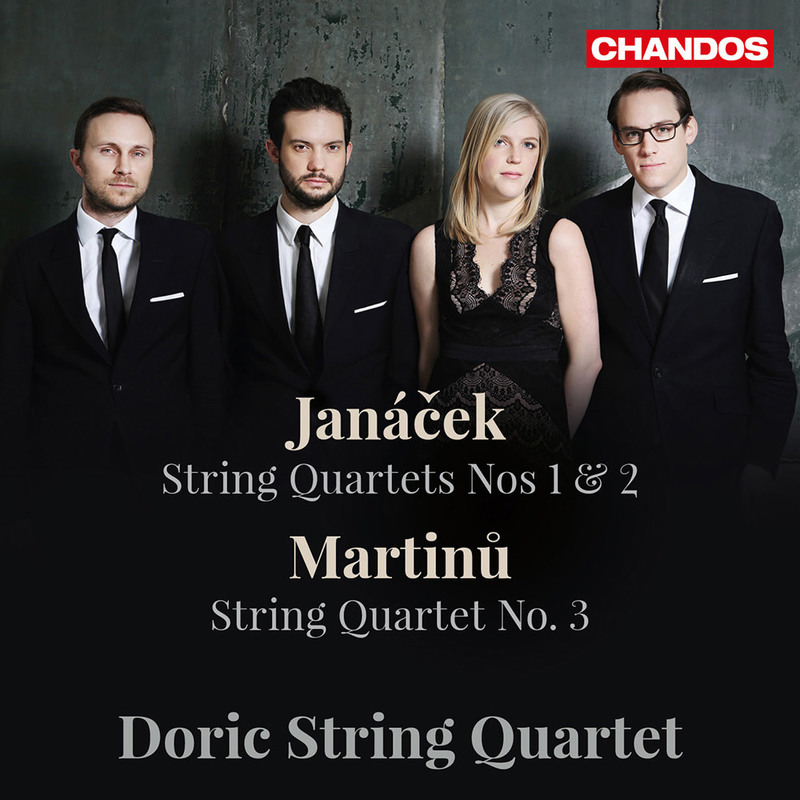 The Doric String Quartet, recognized as one of the finest young ensembles in the world, pays homage to Czech chamber music of the 1920s with these string quartets by Janáček and Martinů. As acknowledged by Janáček himself, his two string programmatic quartets are a vehicle for his deepest feelings. Martinů’s String Quartet No. 3 reflects the influences of his teacher Albert Roussel as well as the nightlife ragtime and jazz world of late 1920s Paris, where and when it was written.The work itself features some striking harmonic clashes and colourful scoring.